Hi!! I'm painting in my Bible again today. 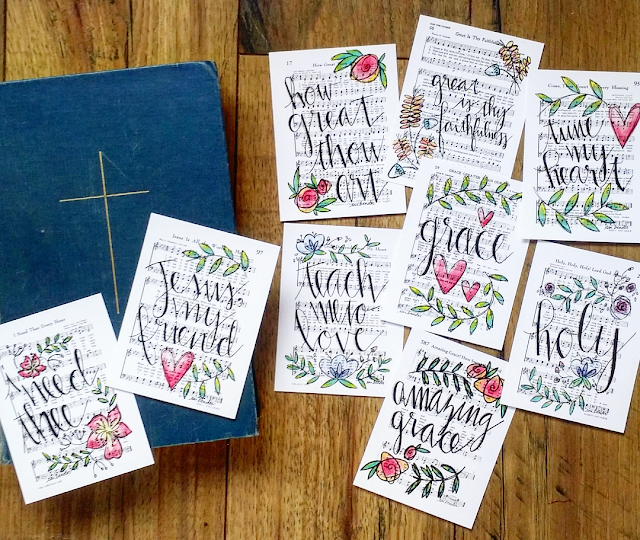 I have been busy sticking these tiny Hymn Journaling Cards all over my house. How great is it to art worship and sing a hymn at the same time? I simply love having these songs stuck in my head. I love singing them while I am working around the house. I love that my kiddos hear the old familiar tunes and memorize the lyrics. Worship is truly a culture, not an event. I want to help cultivate that lifestyle in my home. We will serve the Lord!! 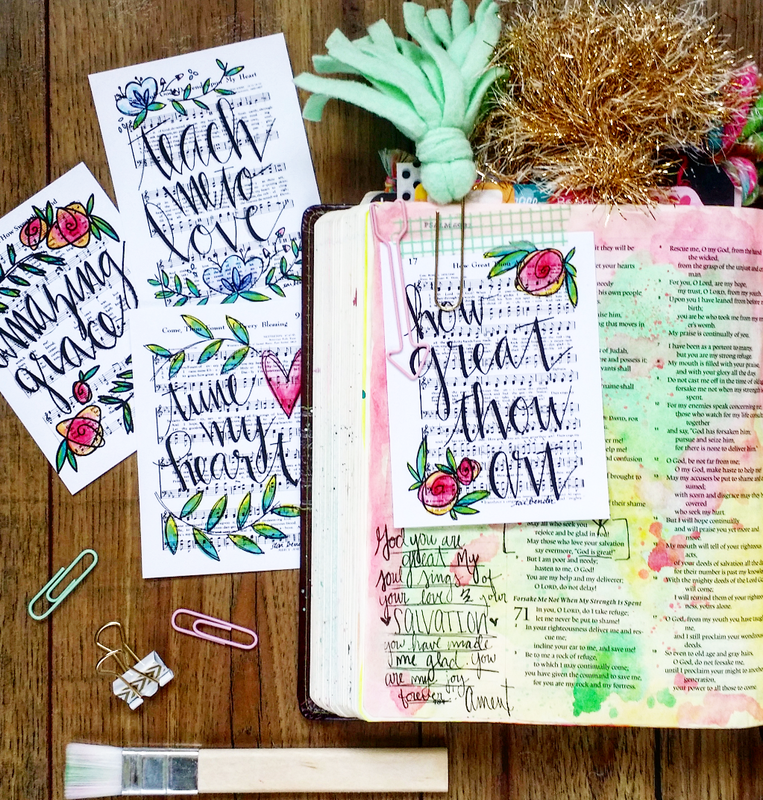 For this page in my Journaling Bible I used Neocolor II Watercolor Crayons, Washi from the target one spot (old) and a fun Hymn Art Journaling Card from my shop. I journaled a little prayer with my Illustrated Faith journaling pen, added a fun tassel clip and that's it! So quick and wonderful and since I took the time now I have memorized the verse! YAY!! Be Blessed, friends! 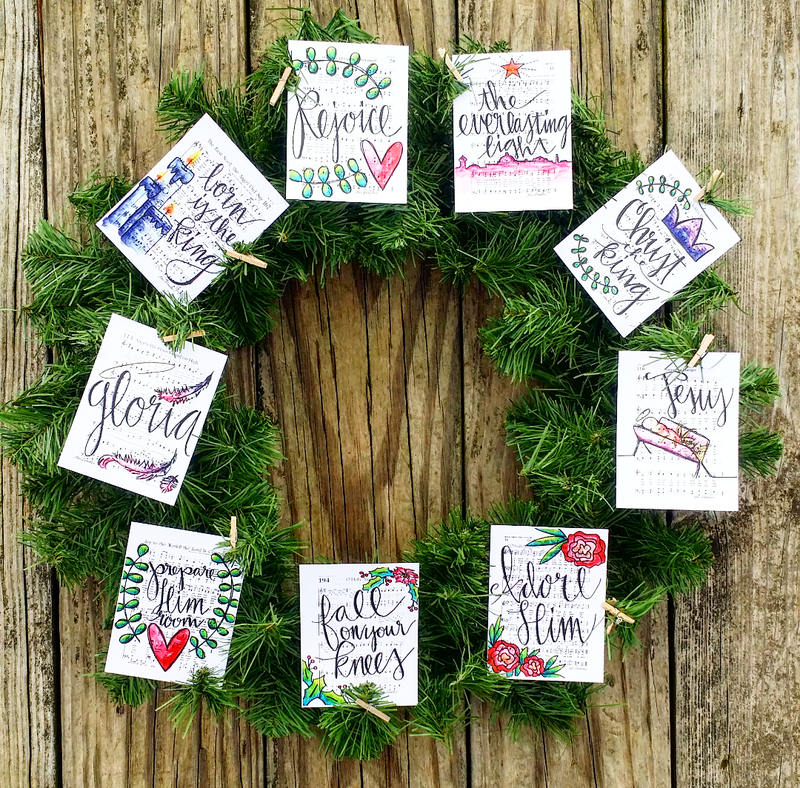 Now available, Christmas Carol Journaling Cards!